There’s nothing quite like taking to the open road from behind the wheel of a BMW. At our BMW dealership near Andover, KS, we stock an extensive inventory of new, used and Certified Pre-Owned BMW models. If you’d like to buy a like-new BMW at a used price, consider test-driving one of our Certified Pre-Owned models. Each model is thoroughly scrutinized and inspected before going on our lot, so you can feel confident that your BMW is held to the highest standards. What Are the Requirements for a Certified Pre-Owned BMW? Before a used BMW can receive the distinction of being a Certified Pre-Owned vehicle, it must go through a thorough inspection and reconditioning. Approval is given by a BMW inspection team of Service Managers, Pre-Owned Managers and BMW trained technicians. Our BMW dealership reviews the service history and CARFAX® report to ensure the vehicle’s maintenance is up-to-date. In order to be eligible, the BMW must have been in service for more than six months and have more than 6,000 miles, but fewer than 60,000 miles on it. The vehicles are inspected for wear, safety and performance, and any necessary repairs are made. If something can’t be repaired, then the vehicle won’t be considered a Certified Pre-Owned BMW. Once all this is finished, a comprehensive road test is initiated to ensure that you receive the Ultimate Driving Machine® experience that you deserve. What are the Warranty and Roadside Assistance Options on a Certified Pre-Owned BMW? After the vehicle passes our rigorous inspections and tests, you can enjoy a litany of additional perks that don’t come with regular pre-owned BMW models. A protection plan is provided that covers your BMW for one year with unlimited miles. This begins after the expiration of the 4-year/50,000-mile New Vehicle/SAV Limited Warranty. If you’d like more coverage for your BMW, opt for Extended Vehicle Protection™. You can add extra time, coverage or mileage to your Certified Pre-Owned BMW warranty. Enjoy added peace of mind with the BMW Roadside Assistance Program, available 24/7 with no additional cost or mileage restrictions. The available BMW Assist™ Safety Plan gives you access to emergency services when they’re needed, and it can even include a collision detection notification service. On top of all of these perks, you’re also entitled to a complimentary loaner vehicle any time you drop your CPO BMW off for service throughout the duration of your protection plan. 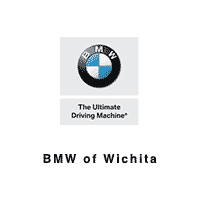 If you’d like to learn more about buying or leasing a Certified Pre-Owned BMW, visit BMW of Wichita today!